Why do cities, regions and nations experience periods of pronounced growth and decline? Why have the world's centres of economic activity been continually reshuffled as the industrial revolution has spread to new parts of the globe? 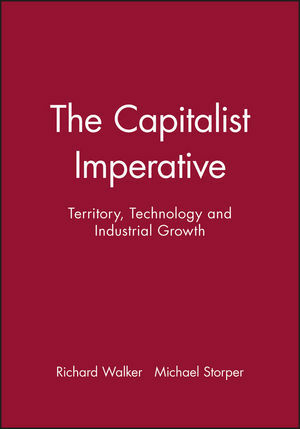 This book demonstrates that under capitalism, the process central to growth is geographical industrialization, and that the creation and use of territory is fundamental to economic development. In doing so, they make new contributions to the study of growth theory, industrial economics, technological change, industrial organization, labour market, urban and regional development, and theoretical human geography. Beginning with the economics of disequilibrium growth, the authors reveal the technological, organizational and political foundations of industrialization, and conclude by showing that the territorial forms that industry takes are central to the shape and survival of capitalism itself. Richard Walker is Professor of Geography, University of California, Berkeley.